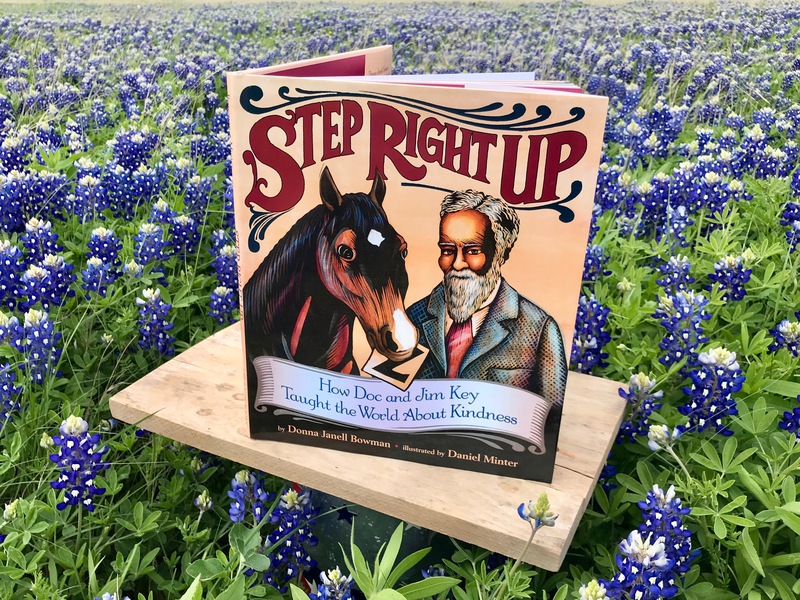 Summary: The 19th century was a brutal time for animals, but formerly-enslaved William “Doc” Key believed that kindness had power. He determined to prove it by “educating” a once-sickly, crooked-legged colt in 1889—complete with reading, writing, and math. 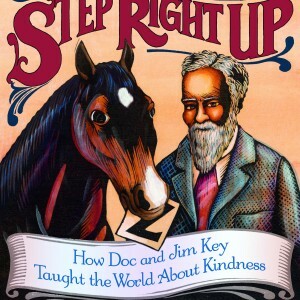 Despite racial prejudice and skepticism, Doc and Beautiful Jim Key ultimately fueled the humane movement, and inspired millions of people to be kinder to animals. Scroll down for more information about Step Right Up. Here’s the unofficial, super casual TX Bluebonnet Q&A Interview. Shorter, more polished version coming soon. See Lee and Low Book’s Step Right Up page. 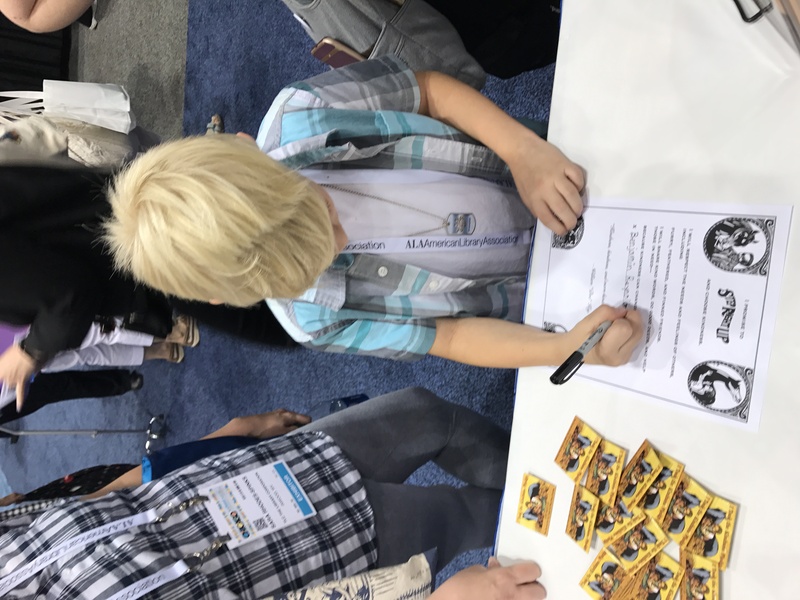 Download the Step Right Up Kindness Pledge in black and white or Color. 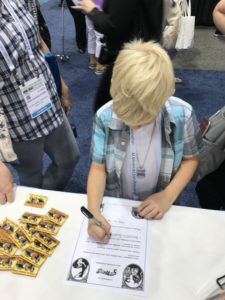 Young fan signing the kindness pledge at ALA.
During the years William “Doc” Key and his horse Beautiful Jim Key performed, spreading the message about kindness, an estimated two million people—especially children—signed the Jim Key Pledge to be kind to animals. We’ve brought the pledge back, and updated it to be more inclusive of people, too. 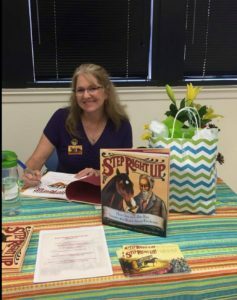 Please consider using the new Step Right Up Kindness Pledge (above) when reading the book to your children or your students. Our world needs a lot more kindness these days. Have fun with horse-related or animal-related crafts made from paper bags, popsicle sticks, paper towel tubes, etc. Peruse the internet or craft books for fun ideas. Check out news of the upcoming movie featuring Morgan Freeman. 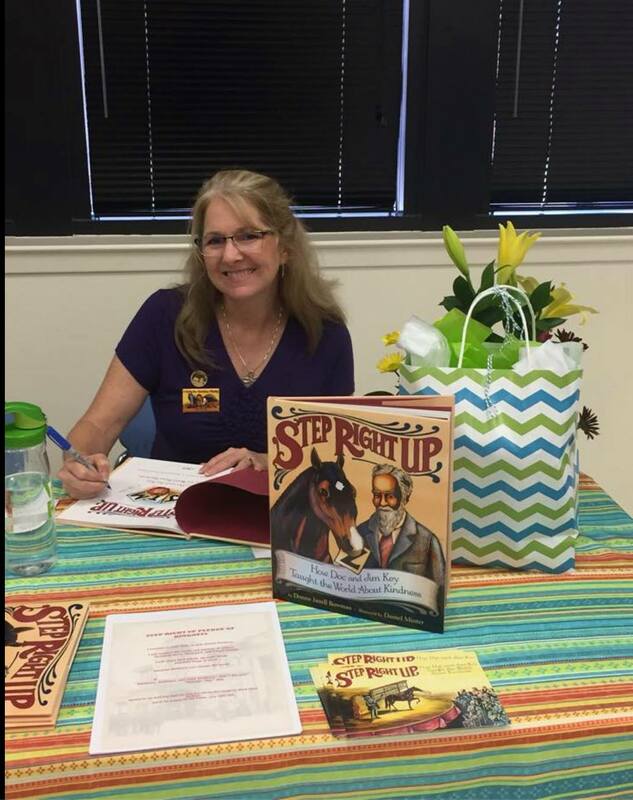 School Library Journal recommends Step Right Up for Black History Month. 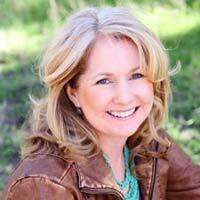 Learn more about Beautiful Jim Key on my blog. Begin here. Check out this FAQ where you ‘ll find cool details about Doc and Jim that do not appear in the book. 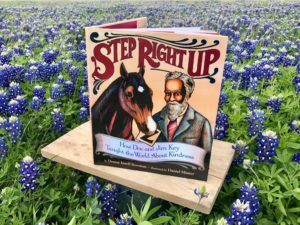 Watch Rick Lamb’s interview with Mim Eichler Rivas, author of the adult book Beautiful Jim Key: The Lost History of the World’s Smartest Horse. NEW! 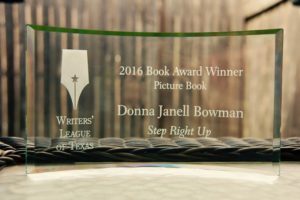 SRU has won the 2016 Writer’s League of Texas Book Award in the picture book category! 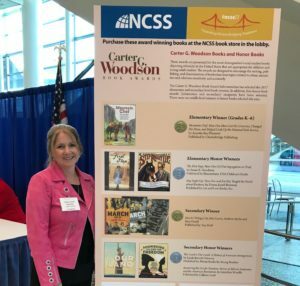 Tennessee’s Volunteer State Book Award, and more. Stay tuned! NEW! 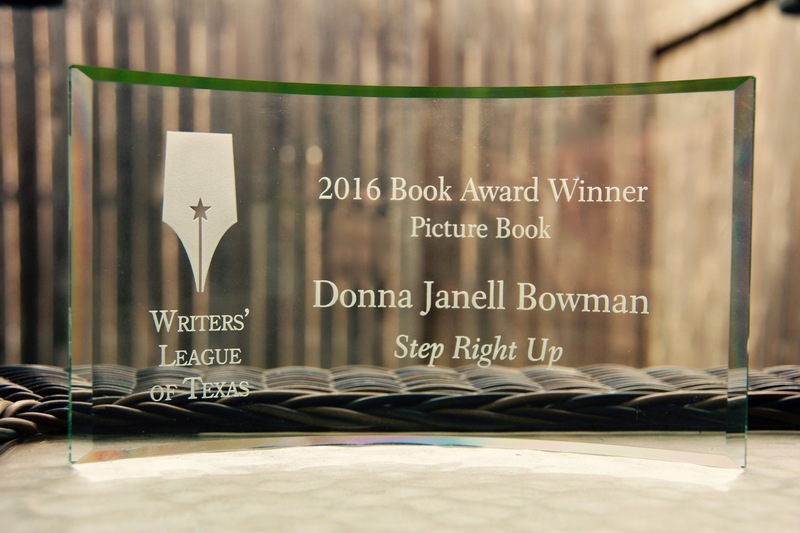 Step Right Up is on the 2019 Texas Topaz Reading List. NEW! Southern Poverty Law Center has recommended Step Right Up in the Fall 2017 issue of their educational magazine, Teaching Tolerance. NEW! 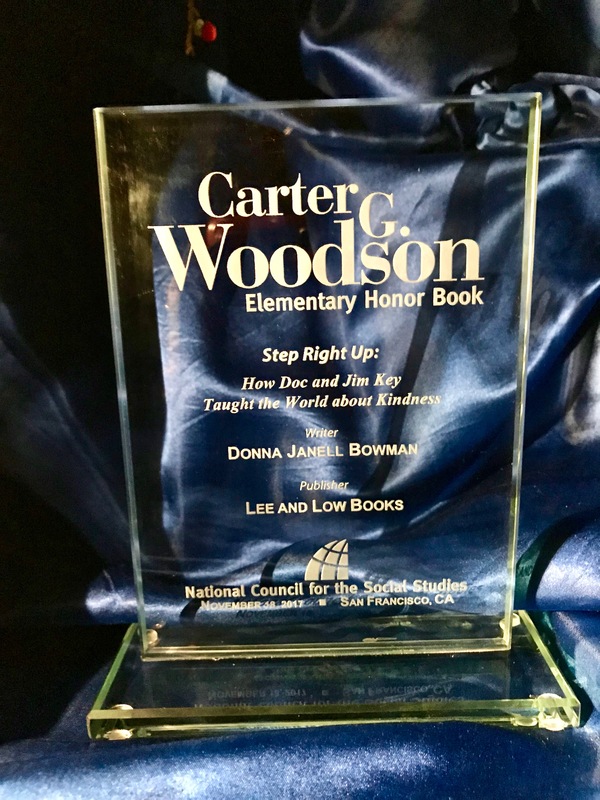 SRU has earned a Carter G. Woodson Award Honor from the National Council for the Social Studies (NCSS)! 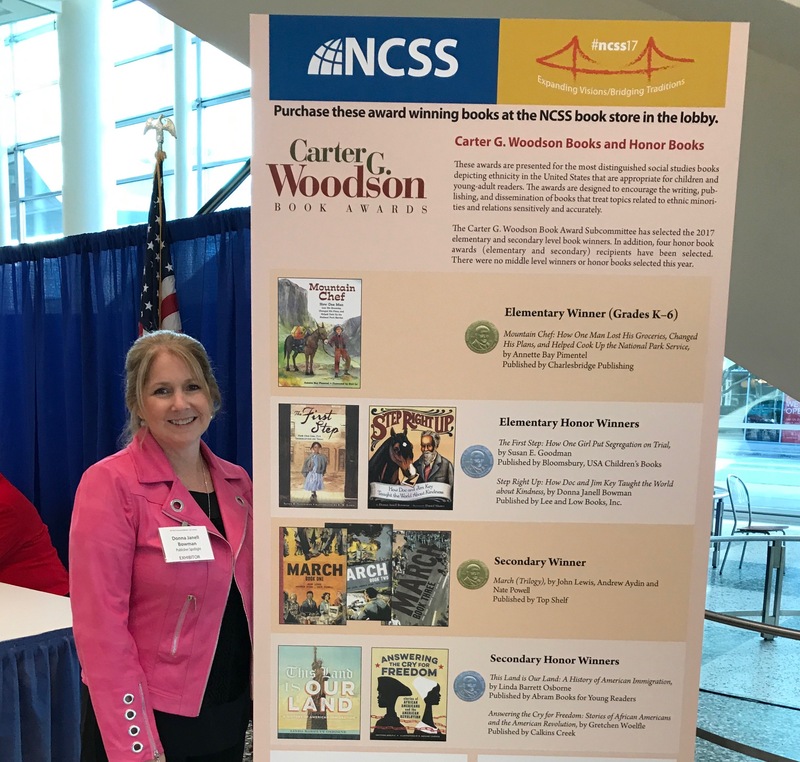 2017 Orbis Pictus Recommended Book by NCTE! NEW! SRU is starred as Outstanding Merit in the Bank Street College of Education Best Children’s Books of the Year list. 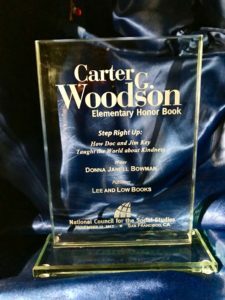 Betsy Bird’s “Best Nonfiction Picture Books” list of 2016.